hd00:17Happy family mother with two children on vacation at the beach. 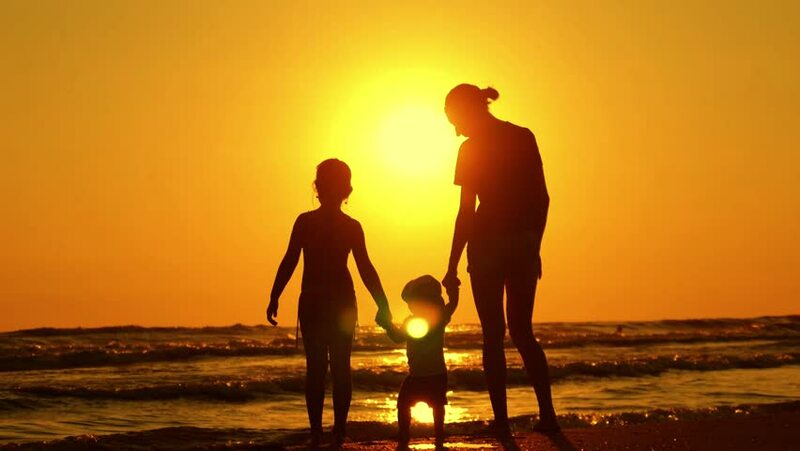 Silhouette mother with two children in the sea at sunset. hd00:21Happy family on the shore of the sea. Silhouettes.